Oxygen-forming photosynthesis is starting, but the oxygen binds to minerals and the sea-water instead of being released into the atmosphere. The continents collide to form the Ur-supercontinent. 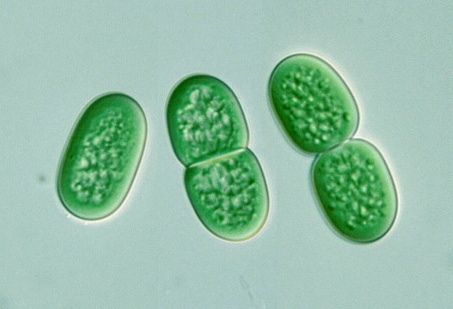 Cyanobacteria, or ”blue-green algae” developed a new form of photosynthesis, where they use solar light energy to split water; the waste product of this process is oxygen. Earlier photosynthesis utilized other electron sources, such as hydrogen sulphide, but this kind of photosynthesis is limited by the limited availability of hydrogen sulphide or other electron donors. Meanwhile, water is abundantly present everywhere, but extraction of electrons from water is difficult and demands a very sophisticated molecular machinery. Biological oxygen production may have first started even 3.2 – 3 billion years ago. The oxygen content of the atmosphere started to raise much later, at about 2.4 – 2.2 billion years ago. First the oxygen level rouse in the sea water but the oxidation of the oceans was very slow, due to their huge volumes, and due to the slow oxidation of various minerals, particularly of the iron II, which readily dissolved in the sea water. First signs of biological oxygen has been observed from the isotope ratios in the iron deposits. Oxygen producing photosynthesis. In light reaction, water is broken down and light energy is converted to the chemical energy. 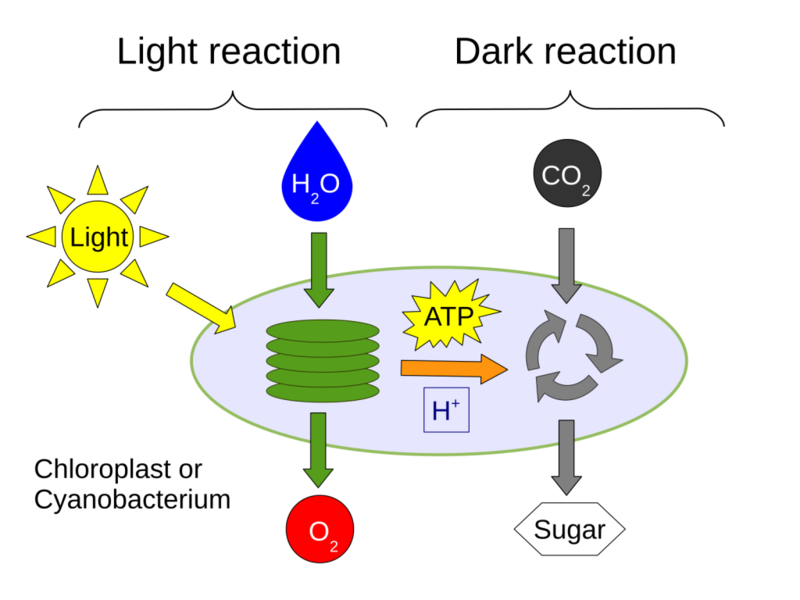 In dark reaction, sugars are manufactured from carbon dioxide using energy from ATP and NADPH, which originate from light reaction. Image: Anni Kauko. Cratons are very old and stable parts of the lithosphere, their ’roots’ reach very deep, up to the asthenosphere. They drift about and to collide to each other due to plate-tectonics. The earliest known assebly of continents is called Ur. The German word Ur means ’beginning’. The core parts of the Ur are known as Vaalbara. Ur can still be pieced together from the surface of the Earth. Border-areas of cratons with 3000 million year old volcanic sediments, formed in water, can still be found in modern continents. These formations are only found near the borders of five old cratons. Even though these cratons are now situated in different locations around the globe, it is known that they were together up until the dispersal of the latest supercontinent, Pangaea. After Pangaea dispersed, the last parts of Ur were scattered to be parts of other continents. The original Ur had parts from current India and South-Africa (Kaapvaal). Ur was expanded when more cratons joined to it 2500 million years ago. 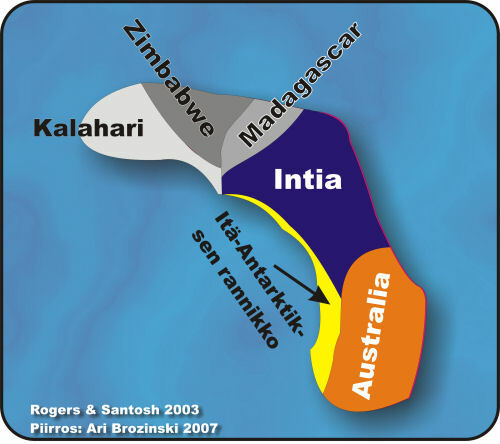 Its expansion continued for a billion years, when the eastern part of Australia attached itself to Ur, two billion years ago.